The government has unveiled the budget for fiscal year 2018-19. 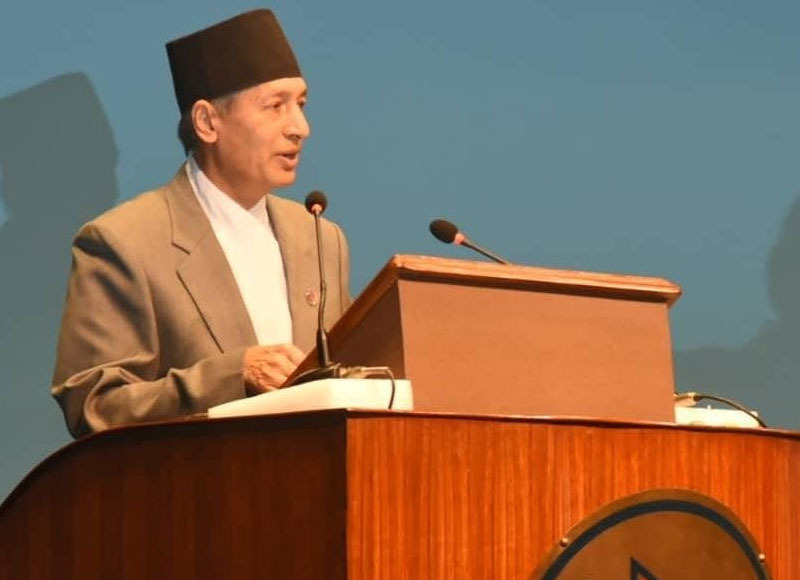 Finance Minister Yuba Raj Khatiwada tabled a budget of Rs 1.31 trillion at the Federal-Parliament on 29, May 2018. This first full-fledged federal budget has emphasised job creation, allotted a third of the total budget for the provinces and local units. The government has allocated Rs 4.3 billion budget for the labor, Employment and Social protection. The fiscal budget 2018/19 has announced to revise the minimum wage, impart job-oriented training for jobless youths for promotion of local business and creation of new jobs. The budget embedded a number of popular programmes such as providing employment opportunity to 500,000 people in the next one year. The Government has announced for effective implementation Labour audit, labour inspection system , dispute management etc. Likewise, Program for effective monitoring to end Child Labour. The government has announced up to Rs 1 million in business loan to foreign employment returnees willing to use their work skills and knowledge within the country. The returnees would be eligible to such loan upon submission of a business proposal with credential of their skills, experience and knowledge in the concerned fields. Another notable announcement includes Rs 700,000 business loan to degree holders without jobs. Interest on such loan will be five percent per annum. Such loans could be acquired through bank by putting educational certificate as collateral. The Government has announced to support Health Insurance of one hundred thousand for senior citizens above 70 Years. The budget has increased dearness and uniform allowance, and support in Insurance amount for Government Employees. The budget is more directed toward increasing agricultural productivity and expand the Agriculture Modernisation Project.